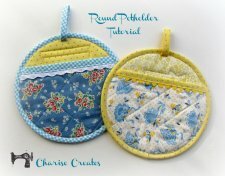 "A fun take on the traditional potholder, this potholder is circular and has cute decorative trim on the pocket. 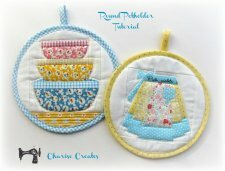 It can also be used as trivet or mug rug or to hang in your kitchen to add a bit of cheer : ) It is finished with bias binding trim. 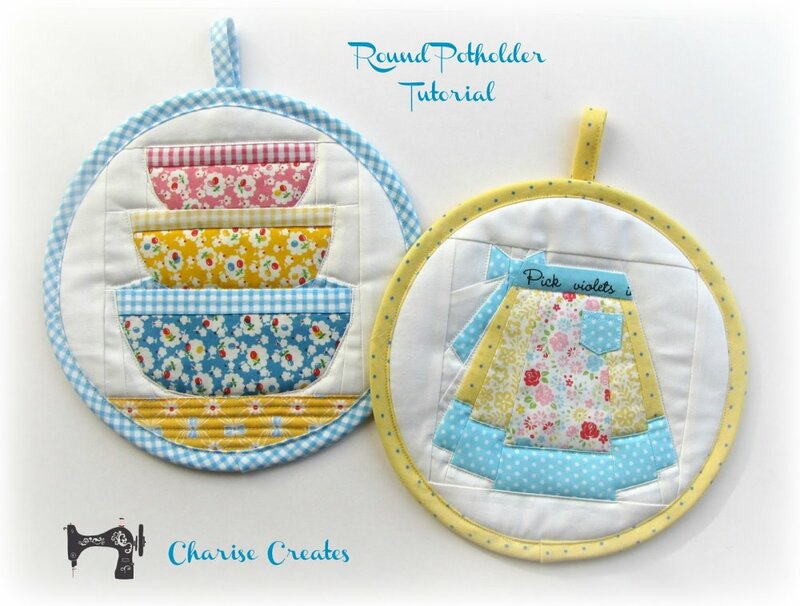 "The paper piecing blocks can be found in my Craftsy Shop or Etsy Shop. Or use an orphaned paper pieced block or quilt block of your own!"